Ever wonder how that decanter filled with red or white gorgeousness, sitting on your kitchen island, ready for late-evening service, got there? I’d suggest pouring yourself a glass, finding a comfortable chair and getting ready for a brief history lesson. The earliest “Americans” tried making wine in the Jamestown colony in 1607, but it quickly became clear that wine made from grapes native to the area was undrinkable—at least to European tastes. So they sent away for clippings of European vine varieties, which arrived in Virginia in 1619. But the settlers came up short again. Other colonies attempted the same experiment, trying to produce drinkable wine from vine varieties from every European winemaking region. They tried over and over and over again—each time coming up short, because the European vines succumbed to unaccustomed pests and diseases, and the harsh new climate. If you’re assuming it may’ve had something to do with the primitive postal system, that’s actually not the case. French winemakers arrived in Virginia with French vine cuttings; Huguenots were tried in Carolina; Germans at Germantown in Pennsylvania; and Italians, Spaniards and Greeks in Florida. They all failed. What ended up becoming the first commercially successful wine in the US was discovered by pure chance in the 1830s, even if the product tasted a bit strange. It followed the discovery in Pennsylvania of a vine that survived the predations of disease and climate. This vine was named Alexander and, although nobody at the time suspected this to be the case, it was a hybrid: One of its parents was a European vine, the other native to North America. 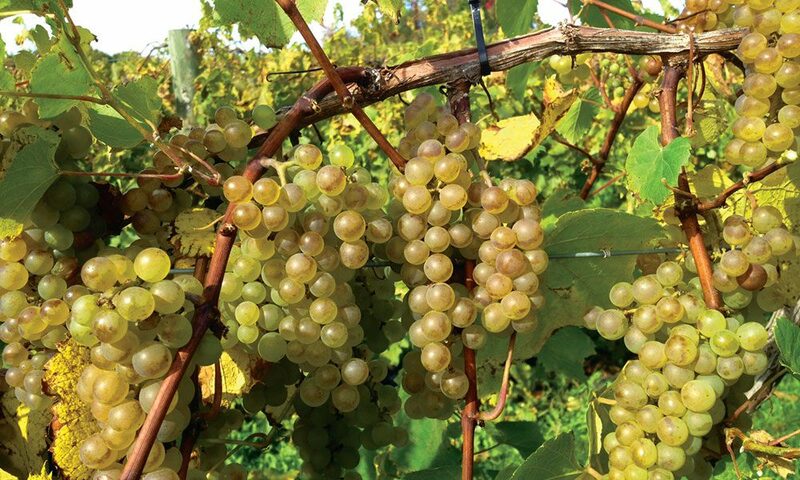 More and more of the accidental hybrid vines appeared over time, and it was by propagating the most promising of them—Catawba, Isabella, Delaware and Norton being among the best known—that grape growing became an established part of the agricultural economy of the eastern US. Of all the hybrids, the most important was Concord. The wine it produced tasted strange, but it made excellent grape juice, which may well account for our continuing taste for it.